The new semester brings added excitement about the arts on The Ohio State University at Mansfield campus. The theatre program will feature three productions during the 2017-18 season. Meanwhile, the Pearl Conard Art Gallery will host three new exhibits to the campus. The University Chorus is preparing an exciting full-length holiday concert for the campus and the community. 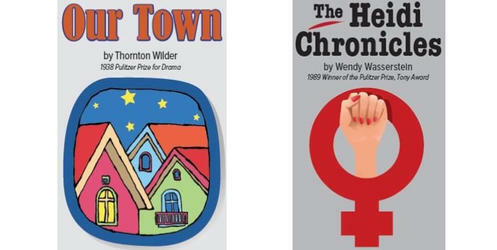 The first production, “Our Town” by Thornton Wilder, will take place October 5-8. The Pulitzer Prize winning drama follows the Webb and Gibes families, as their children fall in love, marry, and eventually – in one of the most famous scenes in American theatre – die. 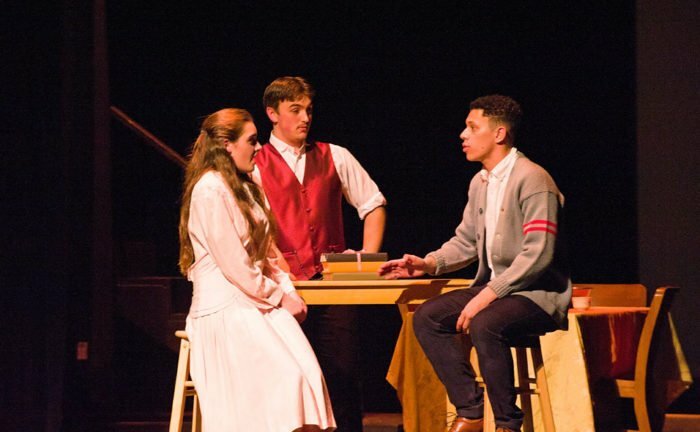 “Our Town” performances: October 5-8 – Click here for further information. The first performance will include the Friends of the Theatre reception following the show. In the second production, “The Heidi Chronicles” by Wendy Wasserstein, focuses on the women’s movement of the late 20th century through the point of view of Heidi Holland. She watches her friends of the 1960’s move from idealism and political radicalism through militant feminism, and eventually, back to the materialism they once rejected. The production involves strong language. “Heidi Chronicles” performances: November 9-12 – Click here for further information. The Pearl Conard Art Gallery at The Ohio State University at Mansfield is hosting several exciting exhibits this year. The exhibit “Hidden Faces” by Eun-Kyung Suh runs until Thursday, September 2. Suh investigates the experiences of transracial adoptees in the United States. She is currently a professor at the University of Minnesota, Duluth. The “Bureau of Visual Instruction” by Megan Gould will be held October 2-19. Gould’s work examines the practice of photographing by using photographs as the object of her works. She is currently an assistant professor at the University of New Mexico. An opening reception will be held October 2, 2017, from 12:35 – 1:30 p.m. at the Pearl Conard Art Gallery. The “Recent Works” exhibit by Alisa Henriquez will be held October 30, 2017, to November 30, 2017. Her work aims to directly engage prevalent images of consumption drawn from popular media culture, especially as they relate to gender, beauty, and material desire. She is currently a professor at Michigan State University. An opening reception will be held October 30, from 12:35 – 1:30 p.m. at the Pearl Conard Art Gallery. The gallery is open to the community at no charge. Hours are Monday-Thursday from 11 a.m. – 4 p.m. and Fridays from 11 a.m. – 2 p.m. The University chorus at The Ohio State University at Mansfield is preparing for a fantastic holiday concert. 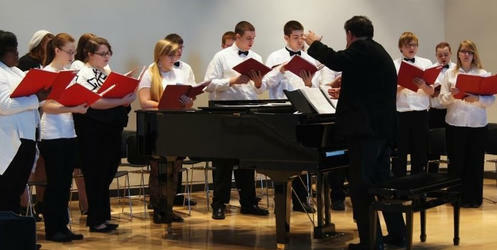 The full-length holiday concert will be held on December 2 at 4 p.m. in Riedl Hall. Music from the Renaissance to modern times will be performed as well as several diverse cultures. The chorus is a mixed ensemble (male and female) whose membership is open to all students, faculty, and staff of both Ohio State Mansfield and North Central State College. Members of the Greater Mansfield Community are also welcome to join the chorus. The chorus meets twice a week—on Tuesdays and Thursdays – from 9:45 – 11:05 a.m. in Riedl Hall’s Conard Performance Hall.